Today was my first “official” day back with my school year schedule, and it feels great to be back at the old grind! However, getting started this morning was pretty brutal, so I had to spruce up my day with a fun outfit. This dress is actually the same garment as the skirt from one of my July posts, which I’ve been meaning to post about for some time. 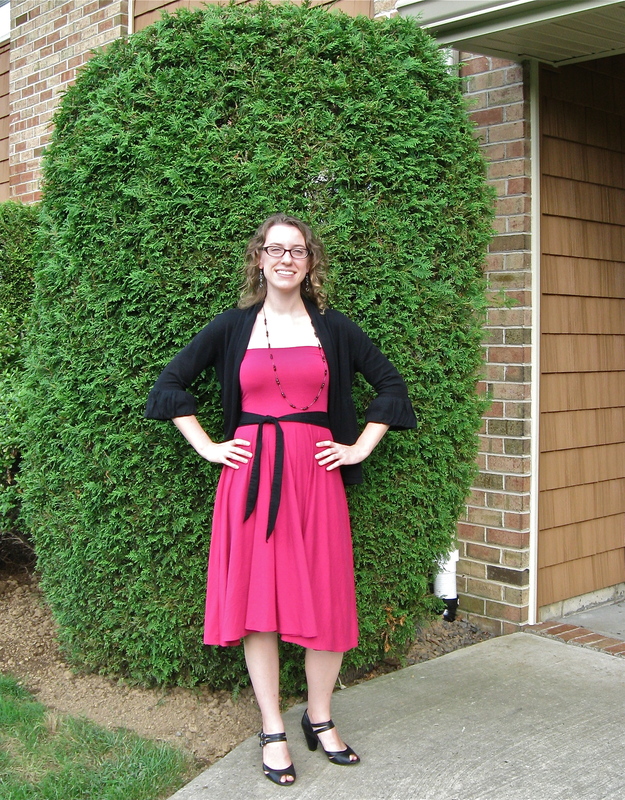 It was my great consignment shop find of the summer, and I’m still figuring out creative ways to wear it! The belt is an accent I’m especially proud of. I usually wear a thick black leather belt with this dress, but I’ve been starting to wonder if the weight of the belt was actually pulling the top down (I have a dread fear that this dress will fall off of me one day :p), so I thought I’d give a lighter option a go. So far it seems to be working!